Mortgagee Sale Rescue: It Is Not Too late To Save The Equity In Your Home! Until you have completed repaying the loan given by the bank to finance the purchasing of your house, ownership is held by the bank. Given that the house is the only security they have for the loan, it is understandable for them to hold on to the property. The simple truth about mortgages is that if you do not keep your end of the agreement by committing to the regular installments to offset the loan, the bank can sell that property. In some cases the outstanding balance is less than the value of the house but in other cases, the borrower still needs to top up on the value of the house to clear their loan. When you enter a mortgage contract with the bank, it acts in the capacity of the mortgagee and therefore when they are selling the property it is termed as a mortgagee sale. Does the bank have any obligation to sell your house at the market value? Unfortunately not, what they are interested in is the amount of money owed to them. Mortgagee auctions happen all the time and the reason why they are so packed by people looking to own their own houses is the low cost of houses on offer. By fetching an amount that is just enough to cater for any outstanding loan amount, the bank recovers its money. While this may be a good way to cushion them from financial loss, this situation leaves the homeowner in a near desperate situation. All it takes to have a bad credit rating as a home owner servicing a mortgage loan is to default on the payments and not inform the bank about it. It is bad enough that the bank has the power to sell your house to recover their loan money but this also has a negative impact on how lenders view you in future. If you get a bad credit rating from the bank over a loan, you are considered as a high risk customer and credit facilities will not be offered to you. In case you get a bank that is willing to give you credit, they may not give you the full amount you need and even on the little that they give, the interest charged will be high. Imagine being halfway through repaying your mortgage and then you lose your job? If you did not have some money stashed away for emergencies such as these, then you are more or less doomed. Not quite! Being in this situation is common because the state of the economy changes all the time and having a job today does not guarantee that you will be in employment tomorrow. Failing to communicate such a scenario to the bank means that you are in arrears to them and any action to recover their money that they will deploy will be justified. What this means for you is that any deposits you had made and the value of your equity will be lost. It is therefore out of ignorance or a sheer state of helplessness that home owners lose their property through mortgagee sales. The situation however does not have to go out of control. 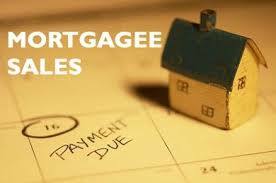 A mortgagee sale is typically enforced by the bank as a last resort in recovering their money. The process takes a long time and is expensive not considering the subsequent ruin on someone’s life. Before the decision is taken to enforce this action, there must be ample warning to the home owner to give them a chance at correcting the situation. You can expect a number of warnings and offers for settling what is in arrears before they can embark on any drastic measures. If you have the money you can pay what is being requested so that you may continue will regular installments, but it is most probable that you do not. How then do you stop the bank from selling your house? The first formal communication you will receive from the bank is a letter of demand. Having received this letter is an indication that the bank now considers your arrears as a debt that needs to be recovered. The letter of demand informs the homeowner of the amount of money that is owed from them and when they should make the payment to offset. If you are able to clear all the money in lump sum as stated in the letter then you will be able to stop any further action as concerns recovery. You may have received the letter of demand just in time to manage loan repayment on an ongoing basis. If not, this is the time to approach the bank about your debt situation. Your record may have been transferred to the banks debt collection department if they think that you need to be pushed harder to pay but if not, you may contact officials at your branch. Depending on your current financial situation, request the bank to make adjustment on your repayment program. Do not wait for too long before requesting for this service because doing it later will not appear as a genuine move of good will with your bank. Depending on how early in the recover process and how your relationship with the bank has been, they may decline to draw up a new repayment program. Some banks will give you a chance at honoring the new terms of repayment before they take further action and this is a good way to redeem yourself. Getting turned down by the bank means that you are now at their mercy and you need to act fast. If you have never considered a lawyer in matters to do with loan repayment, this is the time to do so. A lawyer is best suited to advice on the options available to you from a legal perspective. Some of the options that must be carried out under legal guidance are sale of a house to pay the bank loan and consideration for transferring your loan facility to another facility. You may have wanted to buy the house for your own occupancy but your financial situation does not allow it at the present time. If you wait till the bank exercises its legal right to put up the house for sale, you will not have control on the value that they obtain for it. How much time till the bank moves in? This will determine how much time you can afford to use to look for a reasonable buyer. If buyers know that you are desperate and have no time on your side, the will take advantage by offering a low price. Always be ready to make the decision to sell immediately you hit a roadblock in your finances. Do you feel that your current lender is too insensitive to your situation? Are the terms of servicing a mortgage in another bank more appealing than what you have now? Then ask your lawyer the process involved in credit transfer. Credit transfer does not change your financial ability but it offers you an opportunity to service your loan in more friendly terms. The second letter that the bank will send you will be the Property Law Act (PLA) notice that they write after the deadline for the letter of demand elapses. This letter will reference the first letter and indicate that you have not met the requirements in that letter. The PLA notice serves as an extension to the repayment period given by the letter of demand. It is important to make yourself available when the letter is being delivered to you. Having not met the requirements of the first letter means that you have either refused to honor a formal letter or the letter did not reach you. The last thing you need right now is public humiliation and this is what the bank will do next if you do not make yourself available. To avoid being served with the PLA notice in the print media, simply be present to acknowledge receipt of the letter. If you are totally unable to pay the arrears as indicated in the PLA notice, the bank now reserves the right to recover it money thorough selling your house. You may not be able to do much at this stage but knowing that you have done everything in your power to stop a mortgagee sale will help you handle the situation better. If you are over committed, behind payments facing a Mortgagee Sale or you are unable to refinance your debt, we can help! Disclaimer: Always consult your lawyer or an authorised financial advisor before making the final decision to buy or sell a property.